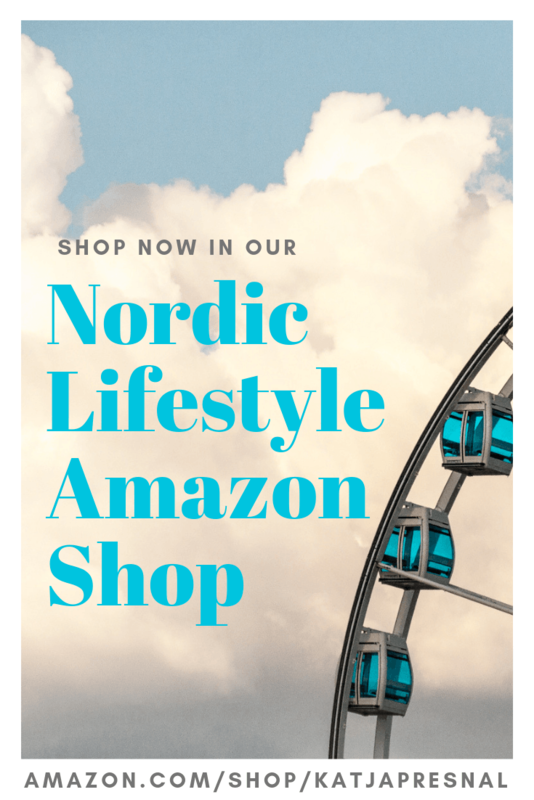 I added several gifts from Scandinavia or with Scandinavian influence in the Ultimate Holiday Gift Guide for Kids and wanted to highlight some of my favorites from the gift guide, and add a few others as well. Polarn O. Pyret Wind Fleece Bunting $87 Nordic moms know how to bundle their babies even on the coldest days. 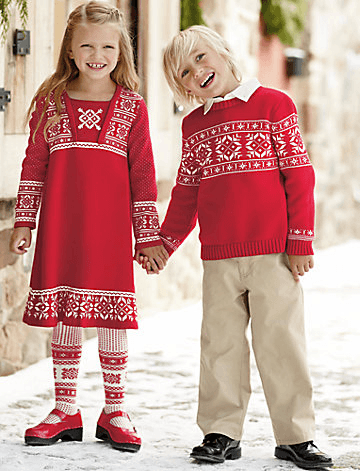 One of their secrets is Swedish Polarn O. Pyret and their high quality kids clothing. This fleece bunting makes a cute gift for any baby! Snowflake or The Elk print mittens $21.50-$25 is another great gift idea from Polarn O. Pyret and follows the Nordic traditions. I got many pairs of mittens like this when growing up for Christmas – knitted by my mother. Marimekko’s Lumikoja one piece for babies (top right picture) $79 Finnish Marimekko made the original Scandinavian stripe shirt already in the 1950’s and still sells stripes for everyone in the family. If Marimekko’s high prices are not appealing, also Polarn O. Pyret has their own line of classic stripes from socks to underwear to rubber boots. And when talking about Scandinavian style children’s clothing… Let’s not forget our American alternative for Scandinavian style: Hanna Andersson. This year, check out the classic Swedish moccasins $14 (sale price) or the gorgeous Speaking of Sweden collection, my favorites are the hoodie romper for babies and the sweater dress for girls. 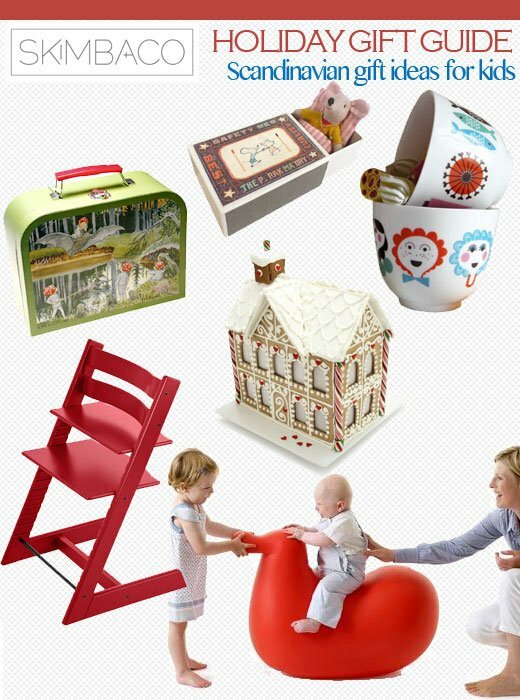 Scandinavian Suitcase Puzzles $26.59 This beautiful puzzle suitcase has two puzzles in it. You can choose from Finnish Moomin or Swedish Elsa Beskow’s Forest Children Puzzles, both beloved Scandinavian classics. Maileg Little Brother/Sister Mouse toy Starting $25.75 This cute little mouse from Denmark lives in a match box. ISAK Fika Cups set $34 Cute heirloom cups in a gift box. Modern and timeless design, perfect for toddler – or adults alike. The designer is originally from Sweden, and her design inspiration is clearly Scandinavian, even though her company is based in UK. Gingerhaus® Ultimate Gingerbread House Kit $29.95 While this Gingerbread House isn’t coming directly from the North, baking gingerbread cookies is a Scandinavian Christmas tradition you should not miss. If making the gingerbread house from the scratch isn’t for you – this gingerbread house kit from Sur La Table is for you. Stokke Tripp Trapp Highchair $265 This Norwegian designed chair is worth every penny, and makes a great gift for anyone in the family. We own 3 of these, and all of my children still use them daily, now they have just moved from around the dining table to accompany the school desks. Perfect from starting 6 months old to grandpas. DODO rocking chair by Oiva Toikka $229 This modern rocking chair is designed by famous Finnish designer Oiva Toikka and manufactured by Magis. Now, only if all kids toys looked like they came from modern art museum. 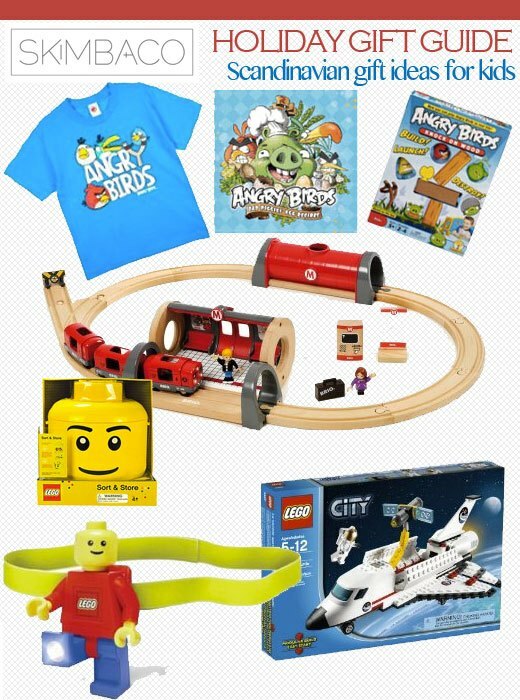 You can’t go wrong with Angry Birds gifts for kids this year. You may not know this but Angry Birds are from my home country Finland! Angry Birds: Bad Piggies’ Egg Recipes $10.99 (sale price) This eggcellent cookbook is a must for budding chef at home. Angry Birds T-Shirts $12.99-$19.99 If cooking isn’t his thing but Angry Birds are the hit in the house – check out the wide selection of Angry Birds t-shirts available on many stores. 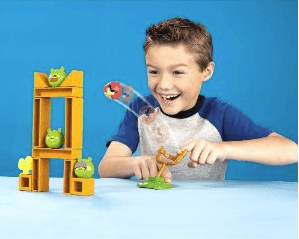 Angry Birds: Knock On Wood Game $27.49 I know… you’d rather have your kiddo off the Angry Birds game and the phone.. No problem, there is an Angry Birds gift for that too. This Angry Birds Knock on Wood Game will be fun for smaller Angry Birds fans of the family. Two of our family’s favorite toys companies LEGO and BRIO are both from Northern Europe, BRIO from Sweden and LEGO from Denmark, and their toys seem just to get more and more popular in the US as well each year! The best about the Brio and LEGo toys is that they are heirloom quality and your kids’ kids will be able to play with mommy’s or daddy’s toys one day making spending the big bucks for these sets double worth while. Brio Metro Railway Set $114.81 This Brio train set won several best toy of the year awards in 2011 in Europe, and it is already hard to find in the US and sold out in many places. This link works for now – but order fast if you want to make sure to get it. BRIO Record and Play Railway Station $68.99 is another great holiday gift idea from BRIO. LEGO Space Shuttle $30.02 is one of the most inexpensive yet most popular LEGO sets for this Holiday season. But if you think that your home is already filled with LEGOs and adding more building material is not an option, now worries, there are plenty of gift ideas for your LEGO fan that don’t include adding more chaos to the playing area. LEGO sort and store storage box by Blip $29.99 (sale price) LEGO enthusiasts love this storage box. You can find it from Toys’r’Us and Target for the cheapest. LEGO Star Wars Darth Vader Mini-Figure Alarm Clock $23.99 (sale price) is another popular gift idea for boys. LEGO headlamp $11.50 (sale price) No explanation needed, all boys will love the LEGO headlamp. Note: I use the term “Scandinavia” loosely, and ultimately wrong. 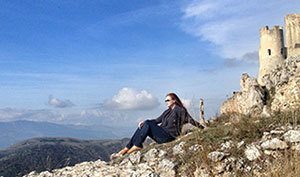 Scandinavia technically only consists of Norway, Sweden and Denmark, and I refer more to Nordic countries including also Finland and Iceland. As a Finnish person though, I’ve always considered myself as “Scandinavian” and “Nordic” and with very little difference with the words.